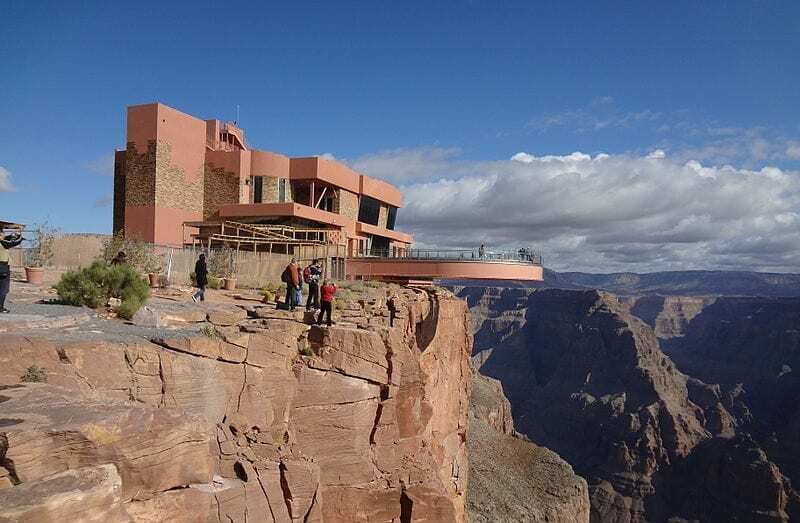 This transparent over-the-edge skywalk is located on the west rim of the Grand Canyon. It is outside the Grand Canyon National Park, and on the Hualapai Tribe land. 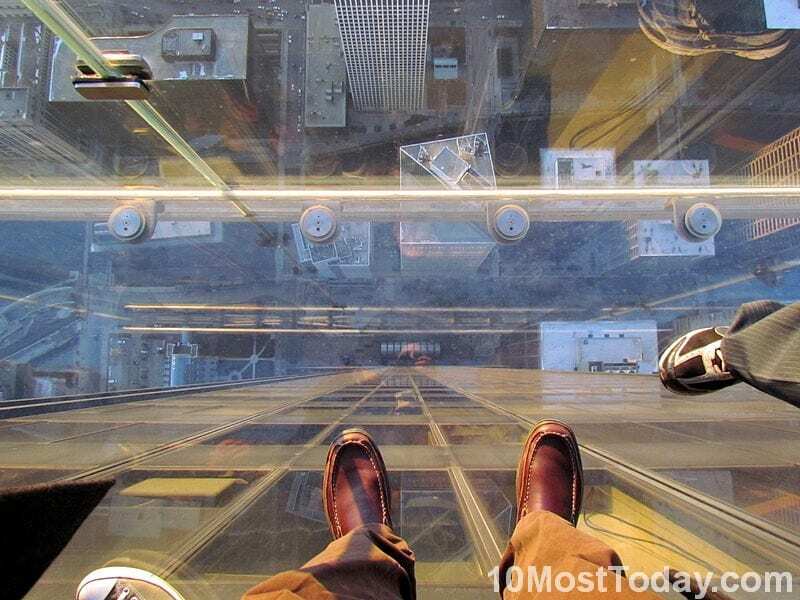 Standing over the edge and looking down through the transparent glass floors, you can see a vertical drop of between 500 ft (150 m) and 800 ft (240 m)! 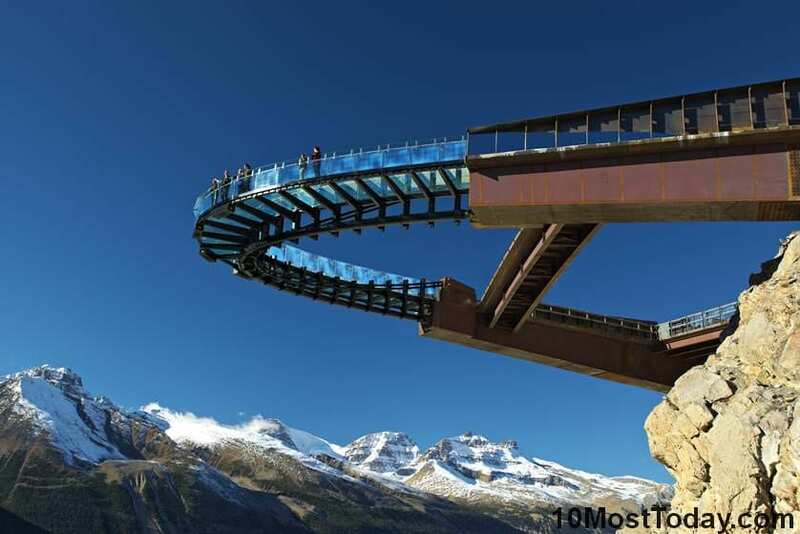 Similarly to the Grand Canyon Skywalk, the Canadian Rockies also have a glass-floored observation platform. 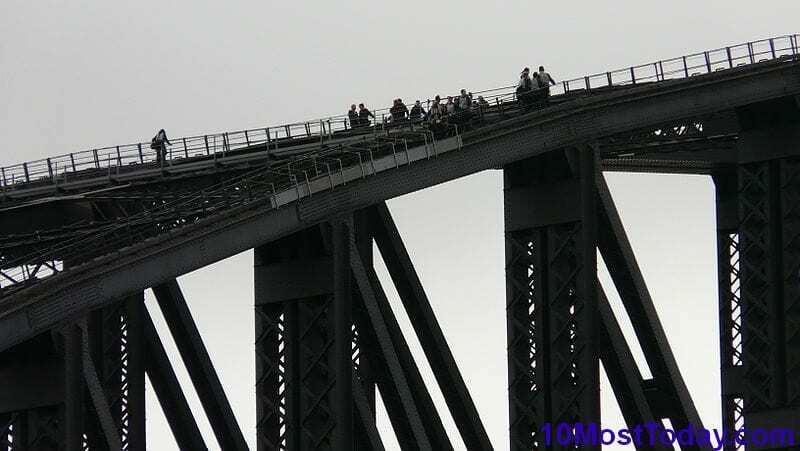 The platform is set over the edge at a height of 918 feet (280 metres) above the ground. 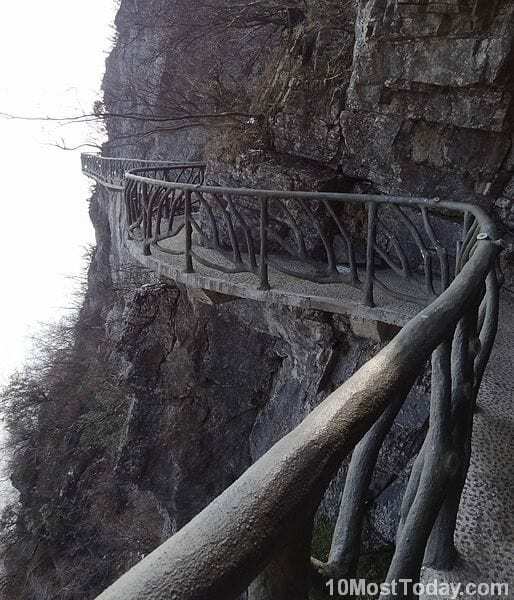 The spectacular view along with the adrenaline rush will give you an experience to remember. Click here to order a tour! 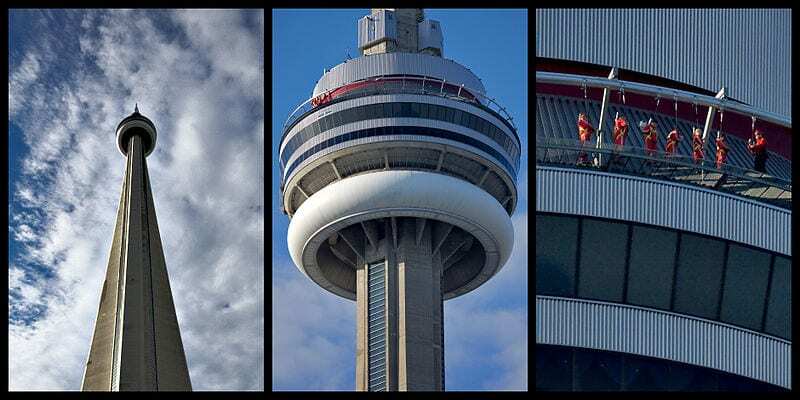 At 553.3 meters (1,815 ft) tall, the CN Tower is the third tallest tower in the world. 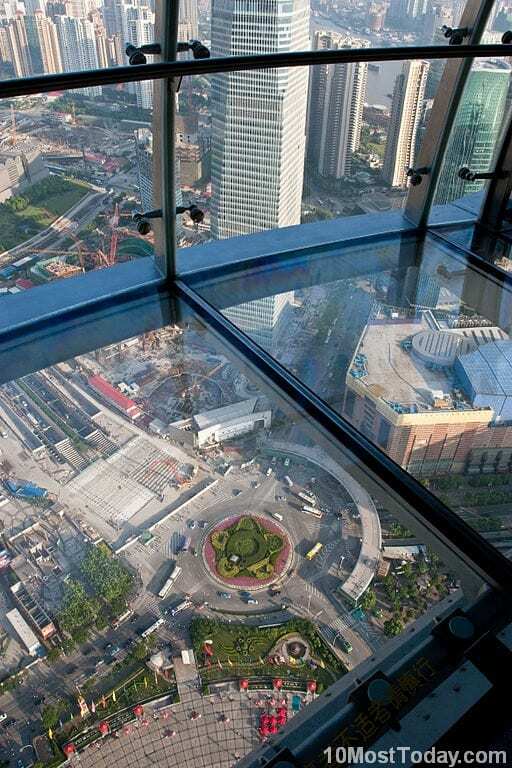 The EdgeWalk is a thrilling attraction at the 116th floor – 356 meters (1168 ft) above the ground. 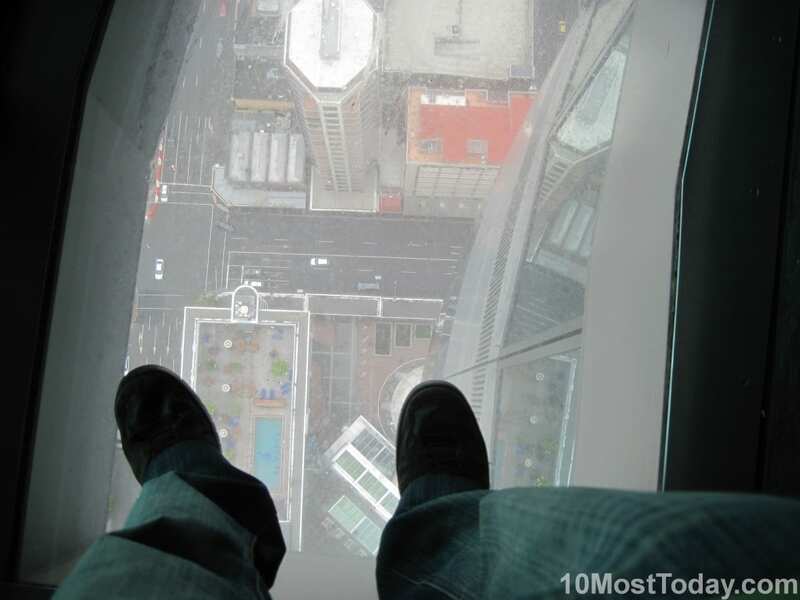 Visitors walk in small groups of six, attached to an overhead safety rail and circle the tower hands-free on a narrow ledge outside the building. Not for the faint-hearted! The Macau Tower is 338 meters (1,109 ft) tall and like many towers of its kind, it offers an observation deck with beautiful panoramic views. 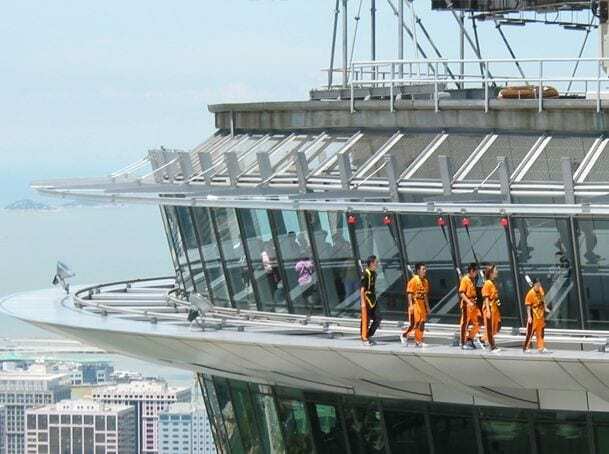 The Macau Tower also offers the Skywalk X – a thrilling walk around the outer rim of the tower, similar to the EdgeWalk in the CN Tower in Toronto. Find out more!